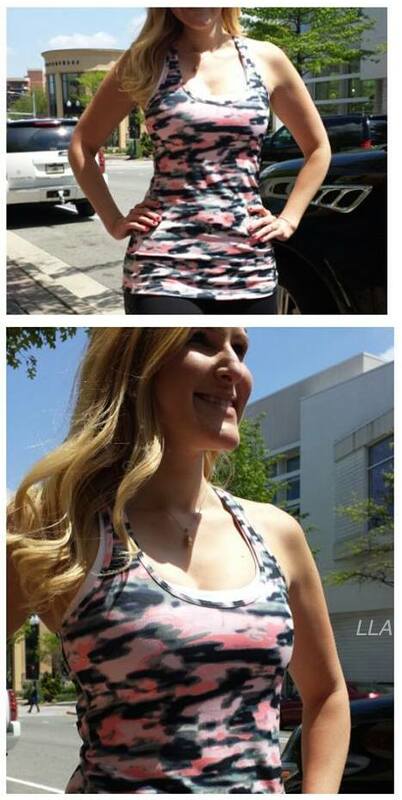 Wamo Camo Wunder Under Crop and Flow with a Peace of Mind Tank. You'll have to click on this to enlarge it but the Burlap print Inspires are shown here. Also Pace Crops and the Wamo Camo Cool Racerback. What time was the WMTM upload last week? So I ordered the Wamo Camo WUC last night and after seeing these pictures ... I've a strong feeling they're going baaaaaack! No offense to this woman, who has a lovely figure, but these pants seem rather "cow-ish." In a very juvenile/Halloweenish way. I ordered the peace of mind tank as well! I wonder what it fits like! I have a feeling we're going to see A LOT of wamo camo returns. I've yet to see them look flattering on a single person or picture. Hopefully all the eBay sellers get stuck with them. I finally got my roll down camo WU from last week (east coast) and they are TIGHT. This is my first time with the denim luon and didn't know it was a size up item. I have about 10 pairs of WU's in a 4, some of which are even loose and these 4s are tiny. I've even had educators assume that I'm a 2 while in the store. I think I'll keep them because they are an awesome staple piece. I've heard the peace of mind tank is odd in the back. You have to get the right size or the cut out won't lay right. @ anon 2:53 pm - I reading the roll down camo wunder under crops are running small compared to the regular WUC version. The sizing is off on them. Well I am yet to see pink cows in my life ?!?! I have them and I actually find them more slimming than secret garden forsure and maybe even milky ways!!! The peace of mind tank is tts loose fit nice and flowy I love it!! @ Robyn - did you size down in the Peace of Mind tank? It looked on the large side when I saw it in the store but I didn't try it on. I have to disagree with anon 2:53. I don't think all of the women look bad in the Wamo Camo WUC in the pics I've seen. I think some look great, while there are a few that are unflattering. I personally don't think it would look that good on size 10-12 women. But I suppose I would have to see the particular woman wearing it. I am a size 8 so we will see how they look on me. If they work that's great, but if not that's just fine too. More $$ to spend on the next thing! Well if the wamo camos look halloweenish...I want it to be Halloween everyday! They are super cute! I had to size down in the peace of mind tank...way down...in order to not look like Casper the ghost. And easy pass cause the material was so sheet like. I think that the wamo camo looks cute! I guess, we all are entitled to like different patterns. I tried on the secret garden inspires at my local LL and thought I looked like my grandmother's couch so I guess, different things look good on different people. I bought the Peace of Mind tank in black in one size down from the size I wear in a CRB but I don't like my CRBs so be skin tight. My size down in the Peace of Mind is flowy and I really like it and hope it comes in more colors. I like the wamo camp myself, very fun pattern. I hope they come out with running pants with that pattern. One girl made a comment on Facebook about the wamo Camo making women's thighs look larger and got backlash for it, lol! 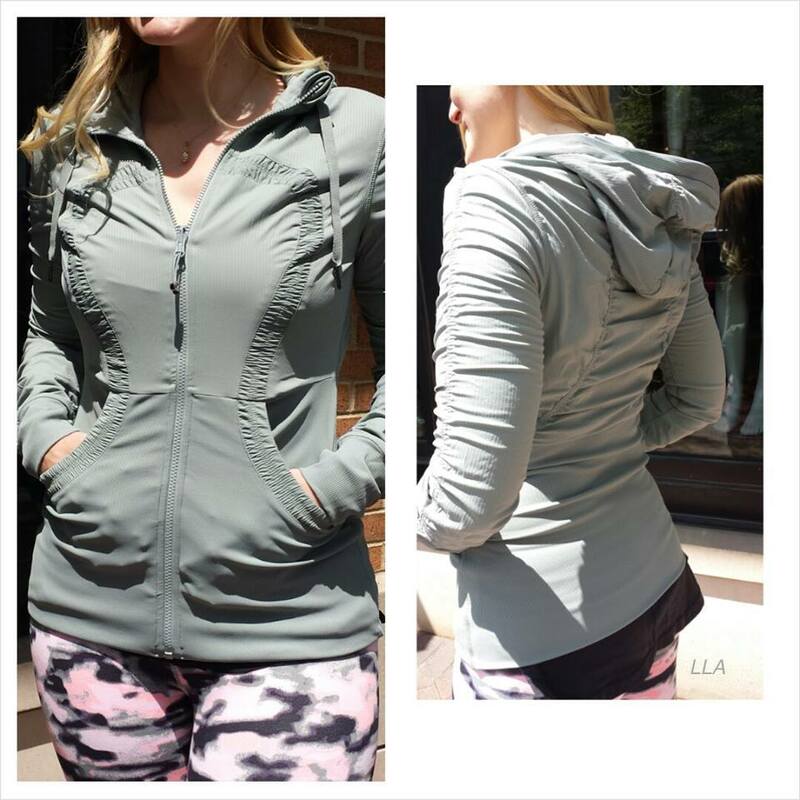 I don't think it looks flattering and I love lulu! Some people get so defensive! the girl wearing the wamo camo above has really well developed legs and I think she looks great in those crops. I also don't think it looks like a cow at all. You do have to be a little bold to be able to wear those to the gym or out.